Impress the editors at this culinary site for a chance at steady freelance work. 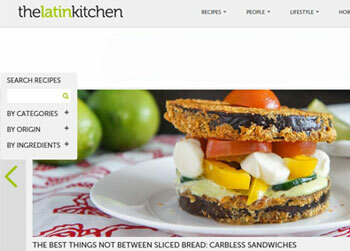 The Latin Kitchen appeals to Latinos who have a strong knowledge of their culinary heritage. But it also appeals to non-Latinos who have the same affinity for the flavors and tastes of Latin cooking. It’s rare that an article will exceed 1,000 words, and while each contributor to the site has a distinct personality, first person is not typically used in articles. Before pitching an idea, use the site’s search function to make sure the topic you have in mind hasn’t already been covered. Also note that freelancers who submit their own high-resolution photographs stand a better chance at landing an assignment.